Raja Ajay Pal Chauhan built the city of Ajmer in the 7th century. Situated by the Ana Sagar Lake Ajmer has been a center of excellence since times immemorial. Famous for the Dargah of Khwaja Moinuddin Chisti, Ajmer is a popular pilgrimage center for both Hindus and Muslims. 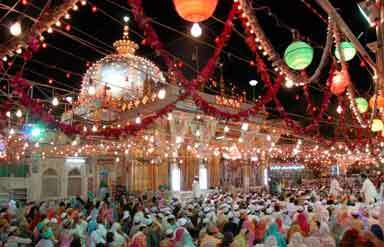 In fact, during the annual Urs at the dargah thousands of pilgrims travel to Ajmer from all over the world. Ajmer is a shopper's paradise that sells everything from antiques and silver jewelry to colorfully dyed fabrics. The city, which is a harmonious blend of Sufi and Hindu culture is also home to the prestigious Mayo College which was established in 1875. This bustling city is one of the most fascinating destinations of Rajasthan and the best time to travel to Ajmer is during the winters (October to March). 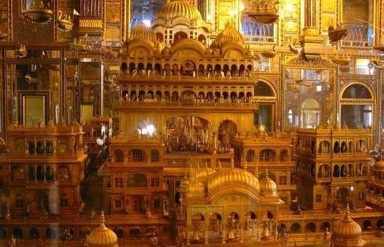 Some of the most famous tourist attractions you can visit when you travel to Ajmer are listed below. The Dargah, which is one of the most important pilgrimage centers in India attracts people of all faiths from all over the world. It is the tomb of a Sufi saint, Khwaja Moinuddin Chisti who came to Ajmer from Persia in 1192 AD. The great Emperor Akbar used to visit this shrine every year, which speaks volumes about the significance attached to this Dargah. A hive of activity all throughout the year, the Dargah has two huge cauldrons for donations. Qawwali (a form of Sufi music) performances are a common sight ere. 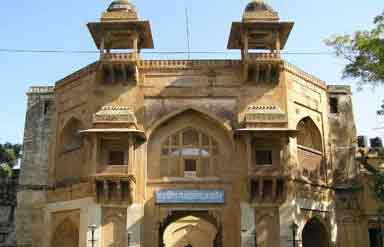 This fort, which was built by Akbar in 1570 AD, now houses the Ajmer Museum. It has a collection of some fine sculptures and some of the armory used by the Rajputs and Mughals. This 'Red Temple' was built in the late 19th century and has a double storied hall which houses a number of gilt wooden figures, which depict various scenes from the Jain mythology. Exquisite gold and silver decorations adorn the hall large hall. This is a place you must visit if you travel to Ajmer. » Road : A number of ordinary and luxury buses connect Ajmer to all the key destinations in Rajasthan. Auto rickshaws, cycle rickshaws and private taxis are the best options to explore the city. » Rail : Ajmer is well connected by regular trains to all the major cities in India. » Air : Jaipur, which is 132 km away, is the nearest airport from Ajmer. 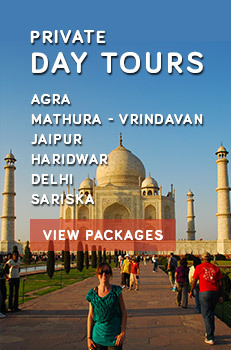 Caper Travel India provides tour packages to Ajmer. For more information or to book a tour, please enter your query in the form given.